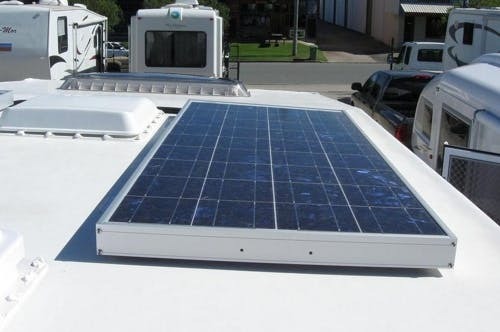 Solar power is becoming more common every year in the RV world. There is a lot to choose from, so let’s take some time to explain the basics. 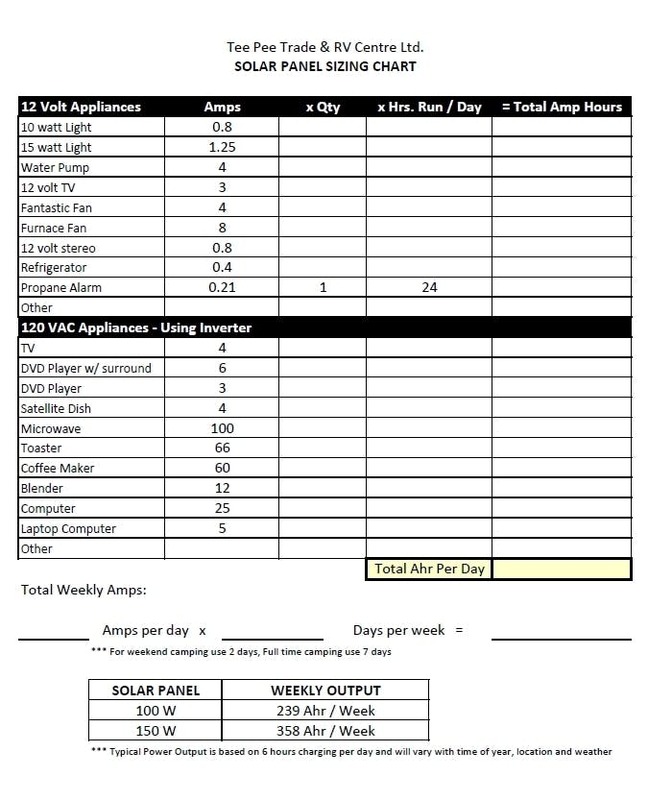 What type of solar panel should I buy? Amorphous Cell – Amorphous cell panels are the least efficient and have the lowest life expectancy. They convert 6%-8% of light energy to electrical energy. They are often brown in color and have a life expectancy of about 3 years. If you’re not sure what type of panel you are looking at in a store – ask about the warranty. If it is a 1 year warranty it will likely be an amorphous cell panel. Multicrystalline or Polycrystalline Cell – These panels convert 12-14% of light energy to electrical energy and have an average life expectancy of 25+ years. These panels have a sparkle chip appearance. This type of panel is the type most often installed by RV dealers. The average warranty is 25 years. They cost a little more up front, but because of the increased efficiency and significantly longer life expectancy, they are generally a better value. This varies by usage. How many days a week are you using your RV? How many appliances are you running? Check out our sizing chart to help you determine what your usage is! Another common question is should I start with one or two panels? I usually recommend one, unless you know for sure your usage far exceeds the limits of one panel. Once one panel has been installed and wired, adding additional panels is quick and easy. The second panel is mounted and wired directly to the original panel – a process that typically takes an hour or less. Do I need to upgrade my batteries? We generally recommend 2 6V batteries when going to solar. 2 6V batteries have more reserve capacity than 2 12V, and more reserve capacity gives your solar panels more time to recover when the RV is in use. 6V batteries are not required, however, so it really depends on your usage. Your solar panels will average 6 hours of charging per day, depending on the time of year, location and weather. I already have one solar panel, can I add another? Yes, but your charge regulator may need to be replaced, depending on its size. Most panels purchased through an RV dealer will come with a 30A charge controller – which means it can accommodate 30A of charging at any given time. A 30A charge controller can typically run with up to 500W of solar panels. There are some panels that come with 5A or 10A charge controllers, so adding more panels depends on the charging capacity of the old and new panel, and does it exceed the current capacity of your charge controller. Have a question that we haven’t answered here? Feel free to contact our service department for more information!